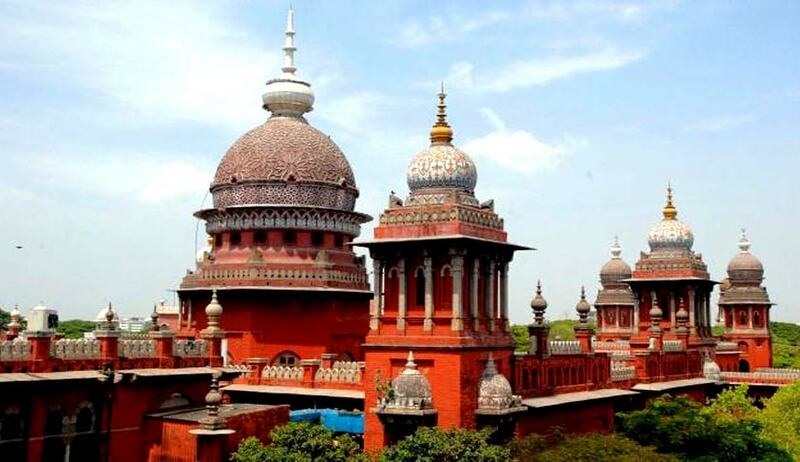 The Madras High Court Bench on Monday restrained the Special Disciplinary Committee (SDC), set up to hold an inquiry against 14 lawyers suspended by Bar Council of India for storming court rooms and shouting slogans against judges, from going ahead with its proceedings slated to start today. A Division Bench, comprising Justices R.Sudhakar and V M Velumani, passed the interim order on a PIL which sought to restore the disciplinary proceedings against the advocates to Karnataka State Bar Council, as originally proposed by BCI. The petitioner, Advocate M.Mohammed Rafi, submitted that the BCI on September 24th suspended the 14 lawyers for not giving even minimum regard or respect to law and breaching the legal limitation and burning the effigy of a Judge who made wearing of helmet by two-wheeler riders compulsory. You may read the LiveLaw story here. The Court directed the Secretary of the Bar Council of Tamilnadu and Puducherry (BCTP), who constituted the SDC, the Chairman of the BCI and the SDC to give their views on the plea in the PIL. Initially, the BCI constituted a Disciplinary Committee consisting of members from the Karnataka Bar Council so that a fair and proper inquiry could be conducted. But following a ‘sly’ request from the BCTP, the BCI transferred the inquiry to the State body. The petitioner claimed that of the three members nominated to the committee, Ranganathan and Varathan were close friends of two of the suspended lawyers M Thirunavukarasu and Nedunchzhian. Varathan was seen meeting the delinquent lawyers at a lodge in Chennai, he alleged. Several lawyers of the BCTP were openly supporting the errant lawyers. He had made a representation to the BCI and the BCT on September 29th last to transfer the inquiry to any other state, But the BCTP rejected the plea. Further, the BCI Chairman should be directed to restore the original order directing the Karnataka State Bar Council to conduct the inquiry, he submitted. He urged the Court to stay the proceedings by the SDC constituted by the BCTP and quash the order setting up the Committee.